If you’re new to the RV world, you may be wondering what you need to know before you begin. What kinds of insider tips are you missing, and what might you learn a few months down the line that would’ve been helpful to know as an RV Newbie? Lucky for you, we have a whole community of fulltime RVers who are happy to help. We asked, and they came forward with their very best tips for newbie RVers. After adding some suggestions of our own, we were able to compile the lovely list of advice below. Heading in with these thoughts under your belt should help you have a (relatively) smooth start to years of happy adventures. A very common mistake is treating your new life like a vacation. Unfortunately, while this is fun for a week or two, it isn’t very sustainable. It’s important to go in knowing your life won’t be a perpetual holiday. There will be good days and bad days; days of sightseeing and days of doing chores; and, let’s not forget that everyone’s schoolwork and jobs still have to be taken care of. 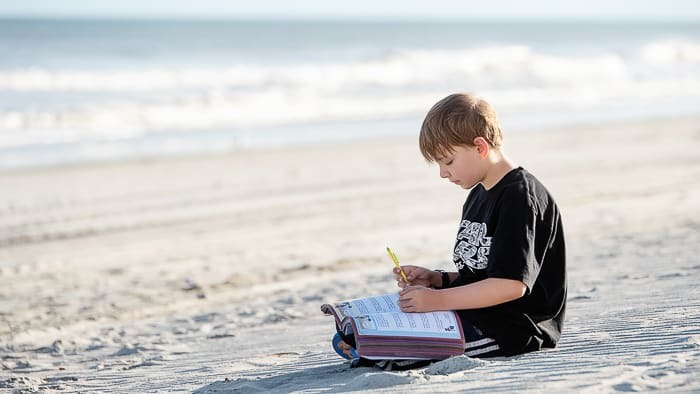 Managing your expectations and controlling the urge to switch to vacation mode can be hugely helpful during your transition to RV life. Another common mistake? Traveling too fast. 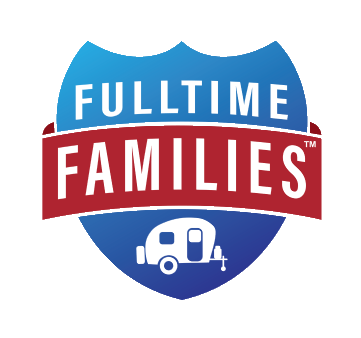 While every family has their own ideal travel speed, almost every RVer out there slows down their travels after a few months on the road. This is because traveling slowly creates more time for sightseeing without taking away from day-to-day activities. It’s also easier on the wallet than constantly moving, and can give you time to really get to know an area before moving on. RVs are not especially well-made products. Most roll off the factory floor with several issues, many of which won’t be found by new owners until they’ve used the rig for a bit. This fact, combined with depreciation, makes buying a used RV the most sensible choice by far. By buying a rig that someone else has already broken in, you’ll likely avoid taking your RV to the shop for warranty work, as well as the enormous depreciation that comes with buying brand new. 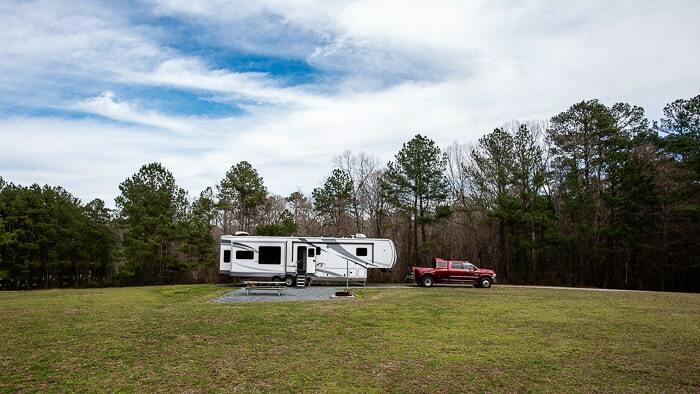 RV parks are great, but they aren’t always available or affordable. Besides, sometimes it’s nice to get out into nature and away from the hustle and bustle of campgrounds. For these reasons, we highly recommend learning to boondock—and doing so often. This is something many people avoid, and they are really missing out. 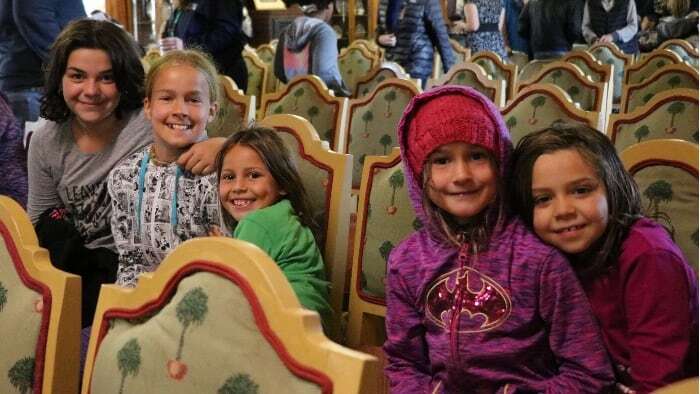 While it may be tempting to leave the kids out of certain things—especially if they’re younger—it’s actually a good idea to involve the whole family in every aspect of RV life. From packing up the RV and setting up camp to planning your travels, getting everyone involved is the best way to keep everyone in the family happy. Having a rocky start is not uncommon at all when making the transition to travel life. 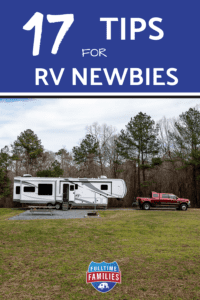 Unfortunately, many RV newbies throw in the towel as soon as the going gets tough. Don’t let this be you. Instead, work your way through those tough first months, keeping in mind the amazing life you’re moving toward. Big jobs are always easier when you have the right tools on hand. Learn what you need to use with your RV, as well as what you need to properly maintain and repair the rig, and stock up. You never know when you might need one of those items, and having them all on hand and ready to go can save you lots of trouble. One of the huge benefits of traveling is being introduced to so many new things. Traveling regularly offers an amazing education that most people will never get to take advantage of. That said, you must be ready and willing to learn in order for that education to really be effective and help you grow as a person. It’s no secret that living in a small space means having less stuff. Even so, stuff has a way of accumulating whether you bring it in consciously or not. For this reason, it’s important to purge perpetually. Keeping tabs on your kids toys, the dishes in your cabinets, and other things that seem to multiply will keep clutter to a minimum, thereby keeping stress to a minimum. It’ll also help ensure your rig doesn’t end up overweight. When you live in an RV, things will go wrong. It’s just how it goes. Toss travel into the mix, and you’re just asking for trouble. 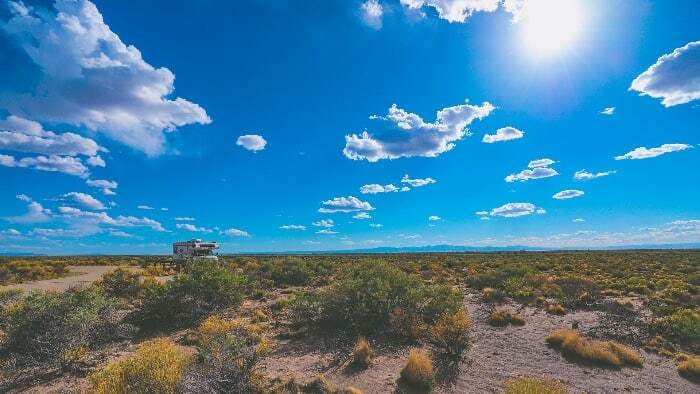 While the good parts of RVing are well worth all the less-than-stellar parts, you will want to prepare yourself for those bad days by packing a good sense of humor and your flexibility. Being able to step back and laugh at an unfortunate situation always makes things a little better, and being flexible will make finding solutions to problems a whole lot easier. Because things can and will go wrong when living on the road, it’s always a good idea to have backup plans in place. For instance, keeping a decent savings account is a must, and good full-timers insurance is something you’ll want to get right away. Knowing how to boondock for a while is also a great tool, and having a good roadside assistance plan (or two!) is important as well. When seeing new things and having new experiences are the kinds of things you do every single day of your life, it becomes impossible to remember it all. Some people journal, but even keeping up with that can be tricky sometimes. We recommend getting into the habit of taking photos of everything (and making sure the photographer is in some of them). This will provide a nice log of your travels and will capture your travel memories so you can treasure them forever. Because RVs aren’t as sturdy as one might hope, things do break with daily use. Fortunately, most things can be fixed by a relatively handy person with a well-stocked toolbelt. Go ahead and use YouTube videos or books to teach yourself how to make as many of these repairs as possible. You’ll save tons of time and even more money by doing so. It can be tempting to try to see and do everything in the city when you find yourself in a cool new place. This can be extremely overwhelming and super expensive. Instead of trying to cram absolutely everything into one stay, pick and choose what you do and leave some things to do the next time you visit. After all, when your house is on wheels, you can visit again anytime you like! When you’re driving your home around, you can’t expect to be as nimble as a family car or even a minivan. 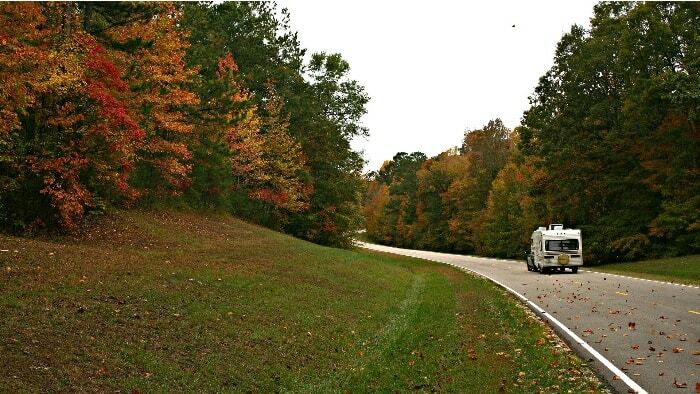 RVs have trouble climbing steep hills and may not fit under every bridge along the most commonly used routes. For this reason, a trucker’s atlas or GPS is a must-have for all RV travelers. Staying at campgrounds every night and visiting attractions multiple times a week gets pricey, quickly. Boondocking and finding free things to do can help a little, but these things aren’t always possible. This is where memberships step in. 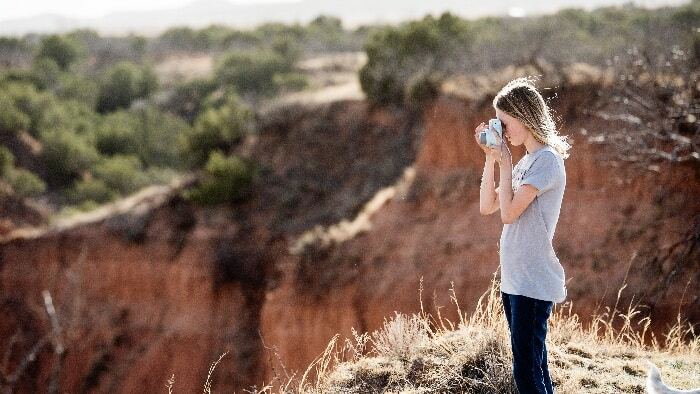 Camping clubs and memberships such as Thousand Trails, Harvest Hosts, and Passport America help cut camping costs by quite a lot. Meanwhile, reciprocal-attraction memberships make visiting museums, zoos, national parks, and even theme parks across the country completely affordable. Read more about camping memberships here. Read more about reciprocal memberships here. Leaving your friends and family behind can leave you feeling pretty lonely and disconnected. Remedy this by making friends on the road. The best way to do this? Join Fulltime Families, attend an event or two, and make plans to meet up again down the road. The connections you make with other traveling families will be deeper than you might imagine, and believe it or not Fulltime Families provides a wonderfully strong and supportive community. Ready to start living your dream? 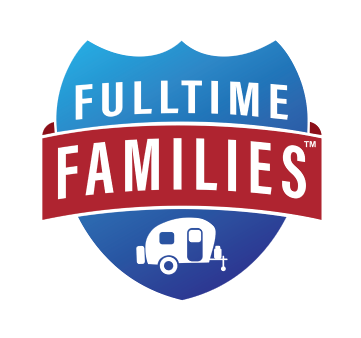 Fulltime Families is ready to help! Join now to be a part of our thriving community and learn everything you need to know to get started on the right foot.